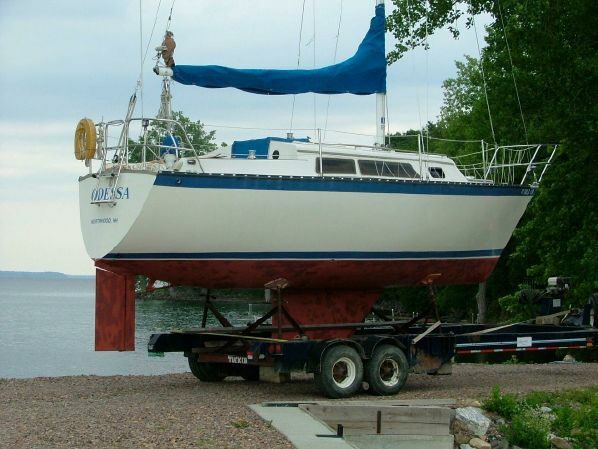 28’ Caliber (1982) - $13,900 - PRICED TO SELL! 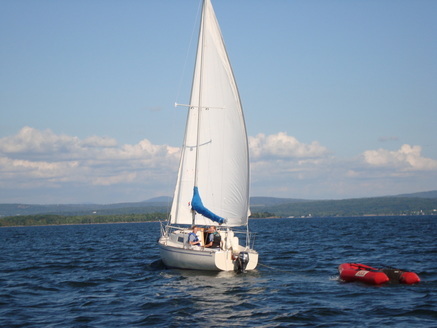 Nicely appointed cruising sailboat, 6’ headroom below with beautiful wood interrior. Sailed and moored on Lake Champlain only. Shallow draft (3’11”) fin keel, Yanmar 2GM diesel engine, wheel steering. Johnson sails - main with 2 reefs, jib, genoa, storm. Split stern rail with swim ladder. Depth, compas, VHF, bilge pumps, solar vent, anchors. Steel storage cradle (cradle, not hydraulic trailer, in photo). 26' S2 8.0 (1983) - $8,000. Comfortable cruising, sleeps 4+. 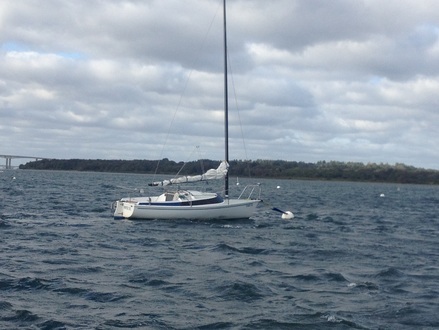 Great sailor with tiller steering, main and hank-on jib in good condition. Full Interlux 2000 and bottompaint professionally done 3 seasons ago. Spacious layout with lots of oiled teak in cabin, private head (new head and holding tank 2014), galley with icebox and sink (alcohol stove removed), V-berth, double convertible berth in salon and under cockpit quarter berth. New (2014) 48V electric power head to sail-drive motor for easy on-and-off-the-dock motoring. Newer navy blue sunbrella upholstery on cushions. Steel storage cradle. Beautifully maintained, modern, fast and fun boat, perfect for anchoring in shallow bays, with Trail-and-sail Roadking trailer (2004), and Yamaha 8hp XL shaft outboard (low hours and power tilt and trim). Sails in excellent shape with roller furled jib. New shark-white bottompaint this spring. Boat is ready for next adventure. Perfect family weekender in ready-to-sail condition, sleeps 4-5, pop-top cabin allows 6'5' headroom at anchor, with like-new canvas and eisenglass windowed snap on cover. Sails in good shape with CDI roller furling jib and new sun edge-cover, electric start Yamaha 9.9hp outboard (2002), new large stainless Magma grill mount on stern rail, new removable table, Raymarine speed/depth. Boat is launched and fully commissioned and has a seasonal slip for 2016 at LADD'S LANDING MARINA which could be transferred at a prorated price to new owners. Steel storage cradle included. ​This boat has been largely refitted since 2008, with deck re-cored bow & stern and new flotation. Mast step and cuddy floor all redone, bottom sanded and repainted. 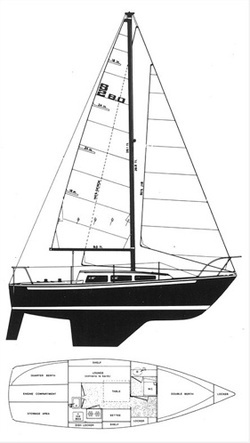 Sail inventory includes VT Sailing Partners custom built fully battened main, assymetriacal spinnaker for light air, 2 older headsails. Boat has updated Harken traveller, updated Lewmar winches, new turnbuckles. Bright work was fully stripped and finished with 8 coats of Bristol Finish. Almost all done with refit, but boat still needs: roller furler and new headsail, fairing and paint on deck and top sides. Currently on cradle at marina under shrinkwrap. Boat can be purchased without cradle ($400) and flatbed ($800) for $3400.